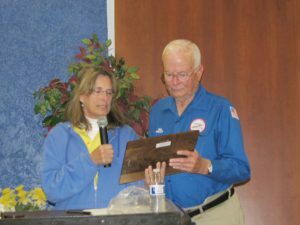 In 2014, Patti Halgunseth KD7VBG presented a plaque in memory of Lloyd Halgunseth WA6ZZJ to Denny Foulk, the Yavapai County Director of Emergency Management. 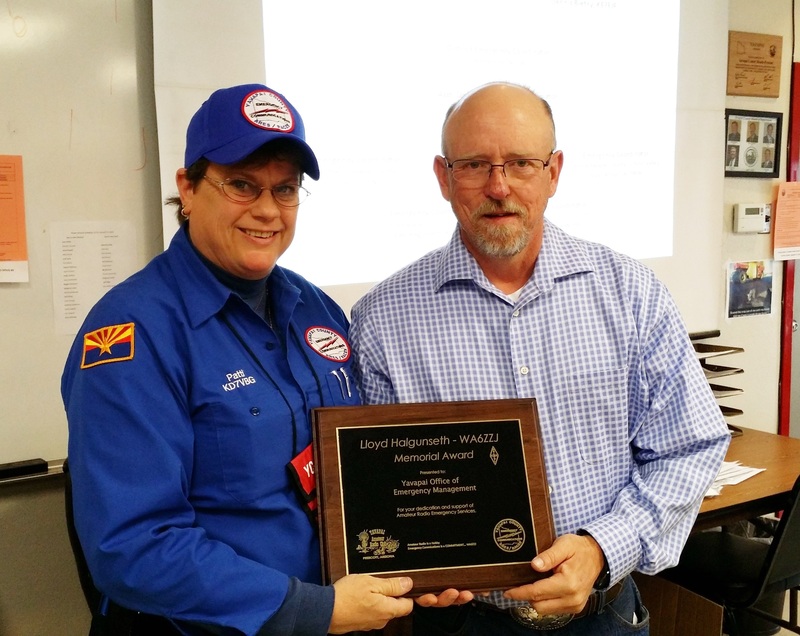 The plaque is displayed at the Office of Emergency Management where Lloyd served as Yavapai County ARES/Races District Emergency Coordinator. 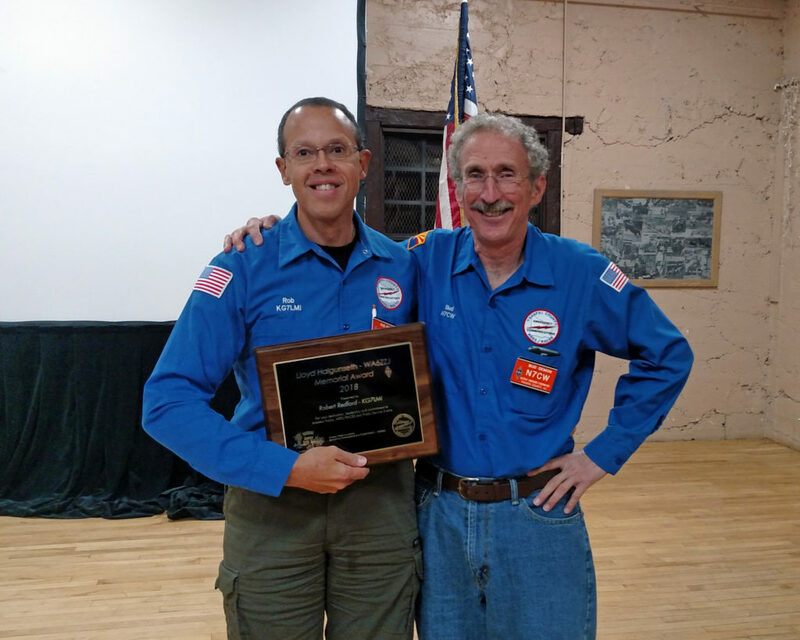 The Lloyd Halgunseth Memorial Public Service Award may be awarded once a year to an amateur radio operator who is determined to have upheld the highest standards of public service – someone who Lloyd would have been proud to work next to. Thank you letter from ARRL for the 2016 donation.